Delivery search by the customer. 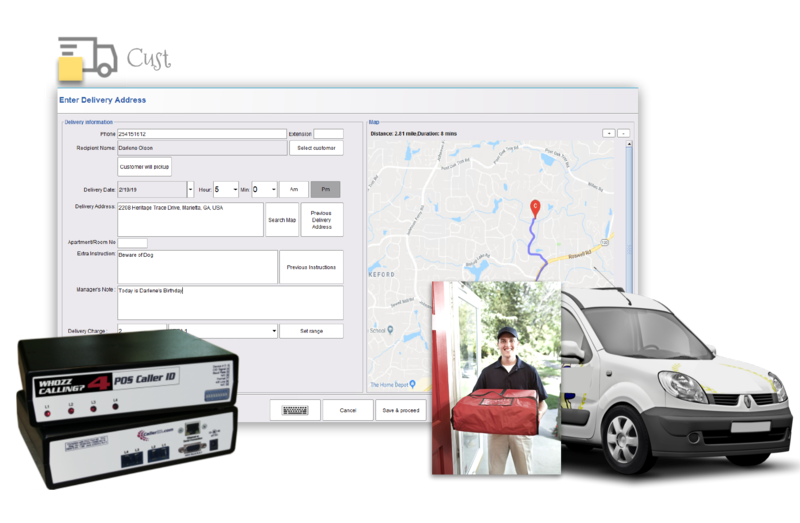 Manage your Delivery and phone order business with Ease. Take delivery orders in only a few clicks. Automatically bump items to the kitchen before delivery. Highlight late deliveries by Red and Yellow. Save delivery history and reorder. Charge delivery by Zone or Zip code. Google API to verify address and calculate distance. Customer groups and VIP customer. Unassign and reassign drivers to ticket. Simplified Order by delivery info only.